This antique industrial style Barstool from HOMCOM is an art piece for your home space. 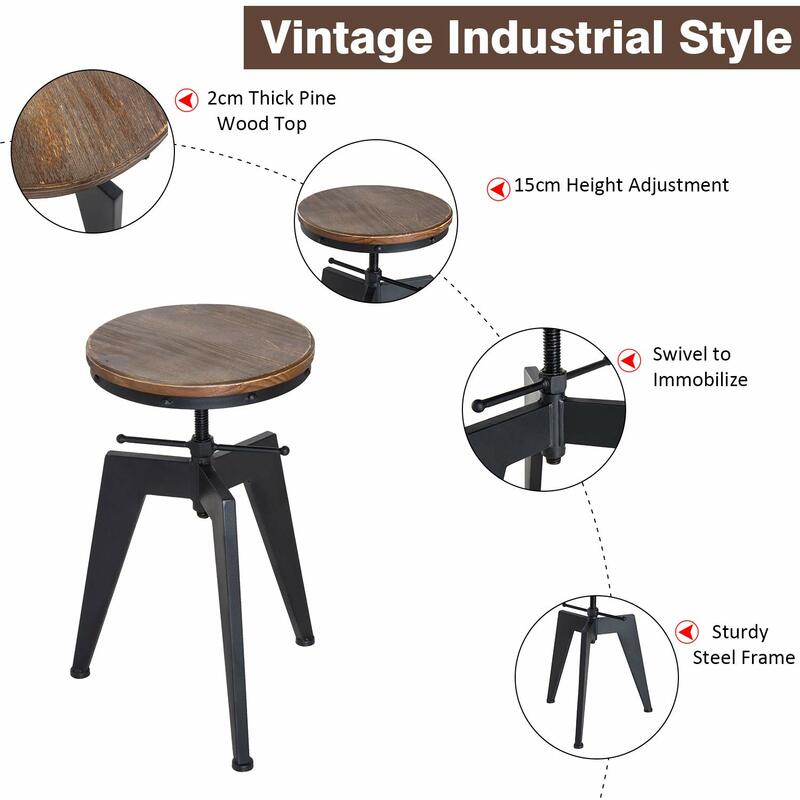 It applies sturdy and thick steel as a frame, natural pine wood as chair top, quite sturdy and comfortable. The seat height is adjustable when you sit on it to enjoy your meals or drinks. It can also provide extra seating for guests. Perfect to use as a bar stool in a pub, bar, coffee house, restaurant or your kitchen, dining room and more. It suits a wide variety of settings，can be used in a bar or your kitchen room, dining room and more.